A Few Paragraphs: Charles Darwin: Werewolf Killer! Have you ever noticed that when you're hiking through the Great American Northwest, you never run into Werewolves anymore? 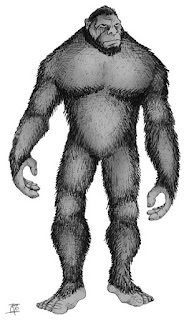 Nowadays, you run into Bigfoot instead. 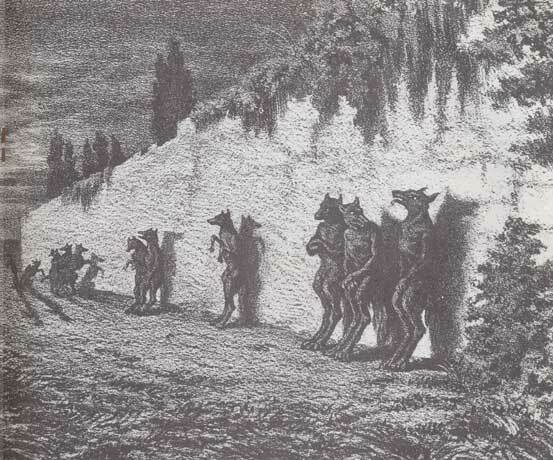 And that despite the fact that Werewolves used to be all the rage -- back in the middle ages, for instance. The only place you find them today is in those weird Twilight movies. Contrary to widespread opinion, this is not the result of an epic, decades-long struggle for territory between the Bigfoots and the Werewolves during the late 1800's. No, according to Professor Brian Regal of Kean University, it was none other than Charles Darwin himself that shot a metaphorical silver bullet into the wayward Werewolf's heart. 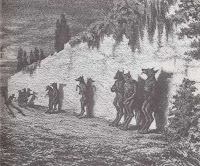 Dr. Regal's research indicates that, when Darwin postulated his famous theory of a connection between man and ape in 1859, it sounded the deathknell for, among other things, a connection between man and wolf. From that point onwards, encounters in the dark woods with Werewolves petered out, to be replaced by confrontations with Sasquatch.